Wow, what an incredible experience. 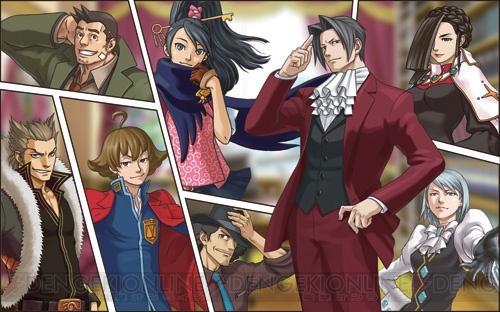 AAI2 ranks as one of my favorite games in the entire Ace Attorney series. Dare I say that it's probably in my personal top three! Edgeworth really shines in this installment and we really get into his head more. He develops and grows in ways that were unexpected. AAI1 was a bit of a mess in its story and pacing but AAI2 fixes all that with a stellar story that is full of great twists and revelations. The story was really great and has one of the all time best villains in the series. It's just that DAMN good. The first three cases were a bit bloated in some spots but the rest were paced really well and gripping. I also loved how there were so many cameos and returning characters from the Phoenix Wright trilogy. Their appearances were quite welcomed and fit into the story quite nicely. It was pretty amusing seeing how Edgeworth dealt with them compared to Phoenix. Really quite a treat for long-time fans. The gameplay remains largely the same as in AAI1 but the addition of Logic Chess added some challenge and fun to the Testimony segments. The game felt a bit more linear in its Investigation segments compared to the first game but it made the game less of chore and moved the story along much more quickly. Overall, gameplay is much improved. I also need to point out that this was beautifully localized by the fans. The text, graphics AND voice acting were all excellent. I didn't find a single typo and the way they localized all the names and titles for the new characters and locations were really clever and well done. They fit into the established world quite nicely. Hell, it's so good that if Capcom took this fan translation and slapped sold it here, I would gladly buy it as the official release. The fan translators deserve major kudos for their hard work. I love them all. Overall, I loved it. It was just pure joy and I can't thank the fan translators enough for giving me the chance to play through such an amazing game. Capcom, shame on you for denying us English speakers one of the best Ace Attorney games in the series. Get with it. This was a huge surprise even after all the praise it got from reviewers. I was totally shocked at how good the story was and how much I cared about the characters. The cutscenes and voice acting were really quite excellent and well done. Frankly, I didn't mind if the game had even more story because the world was pretty well realized and I really wanted to see more of it. The pacing was also fairly fast-paced and never dragged. The game was also really fun. All the guns (except for the autoshotty) felt great. I wasn't a huge fan of being forced to pick up all the ammo and armor but it wasn't too bad. The stealth was also quite fun and very simple. It's really quite satisfying stabbing Nazi fools silently in the head. It never gets old. I also loved the exploration segments in the rebel base. It added a lot of atmosphere and flavor to the game. The sidequests were a good break from the main game. I really enjoyed it and wish there were more of it. The difficulty does spike in some levels and they really fucked me up. It was fairly problematic especially against some heavy enemies who can chew down your health quickly. I had to dial down the difficulty cuz I really wanted to see where the story went. Playing a FPS for the story? Yea, it happens. But I also loved mowing down an army of dudes like a badass too. That was entertaining. The game has a really interesting perks system and lots of collectibles which makes the replayability pretty high. I do plan on replaying the game on the Uber difficulty for fun and for a specific story reason. I also want to level up my guy to see how powerful he gets. But aside from the difficulty spikes, the game is fun to play. Overall, this is one of the best FPS games this year. Great story and characters too. Lots of great moments and some really satisfying gameplay. Definitely worth playing! Ah, so it finally ends or does it? This has been one of my favorite Telltale games by far. The writing and characters were great and really fun to interact with. The final episode of Season 1 was pretty satisfying. Most of the questions were answered but some mysteries still remained. I'm sure some of the dangling threads will continue in Season 2. My only gripe with this ep is that it was way too short. I really enjoyed it but it ended way too soon. I'm hoping Season 2 fleshes out the relationships more and also spends more time letting us explore the world. Overall, the final ep and the entire season in general was really great. 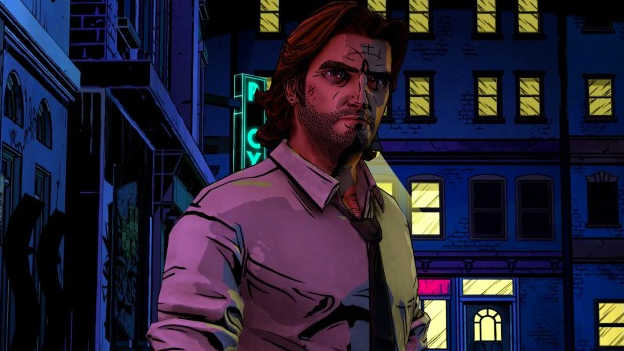 Bigby is one of the best characters ever. I've never read the comics but I'm really interested now and might check it out in the future. Bring on Season 2!